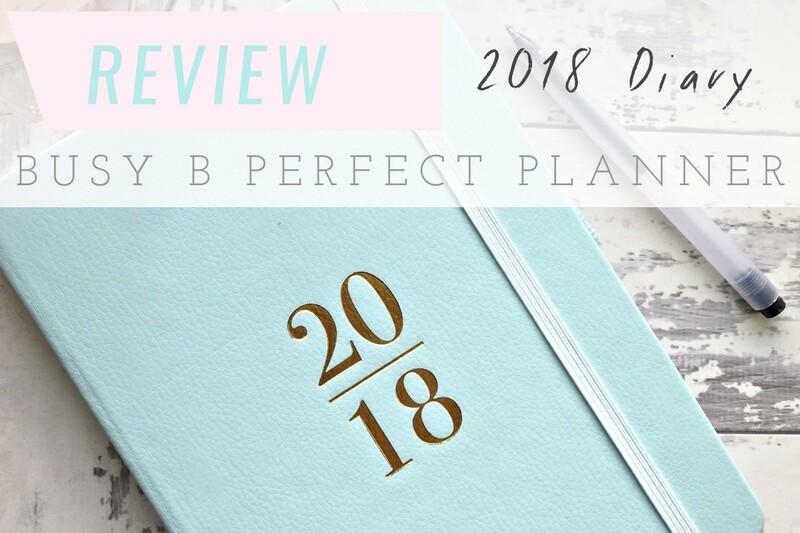 The New Year means it's time for a new diary and as soon as I saw the Busy B 2018 Perfect Planner , it had to go straight on my Christmas list. It's not only pretty to look at (who can resist that shade of blue and gold foil text?!) but it's also a very practical little planner. 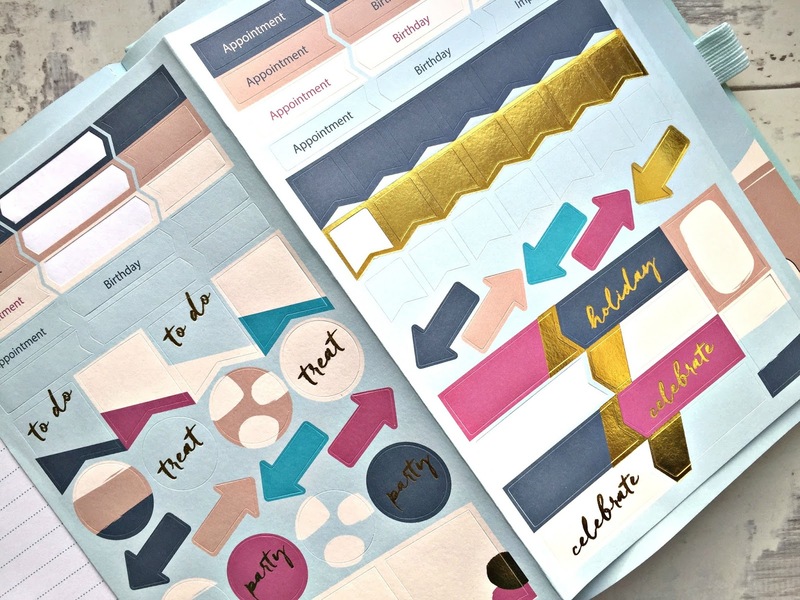 Inside the a5 planner, you'll find a number of sections, including Personal Details & Useful Information, Birthdays, Notes, Contacts, Websites, Reminders and Expenses. 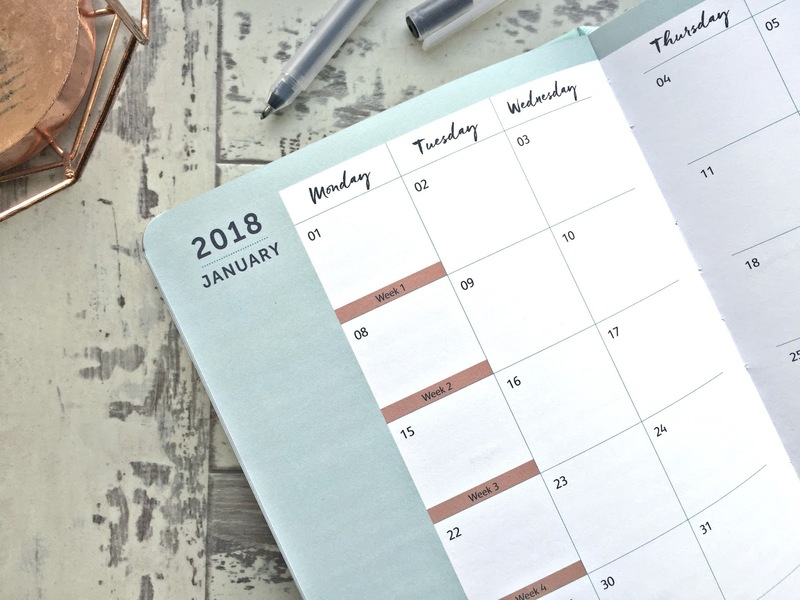 It wouldn't be much of a planner without a calendar but what's great about this one is that you get an overview of each month (Year-To-View) where you can jot down important events, as well as a Week-to-View calendar (each week is spread across two pages) where you can add more details. Each week also has it's own note section and there are also four pockets dotted throughout the planner for storing receipts, tickets and anything else you want to put in there. Probably not something I should admit at the age of twenty seven but one of the things I love most about this diary is the stickers! 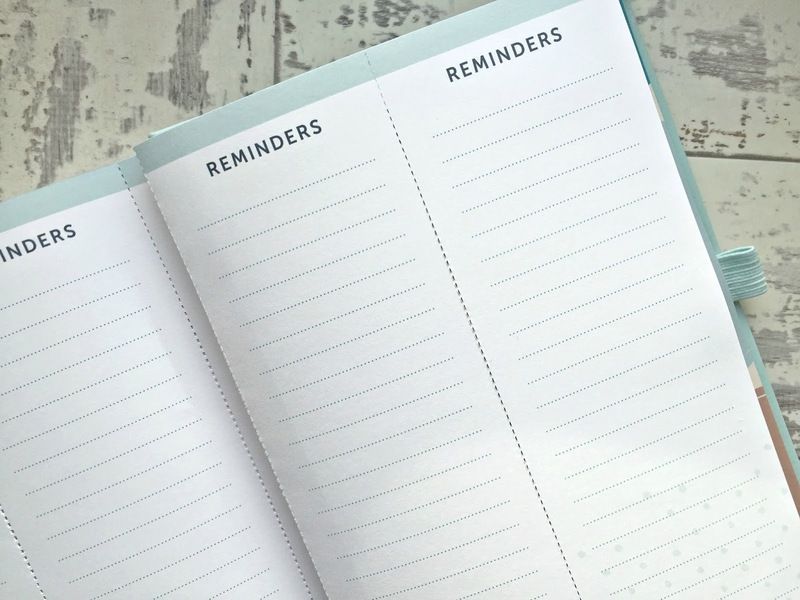 I've already started adding them to my diary pages and find they're great for highlighting important dates and events, as well as making your planner look that little bit more special. Although the refill stickers aren't currently available on the Busy B website, I've seen these Busy B Sticky Markers on Amazon , which look lovely too! 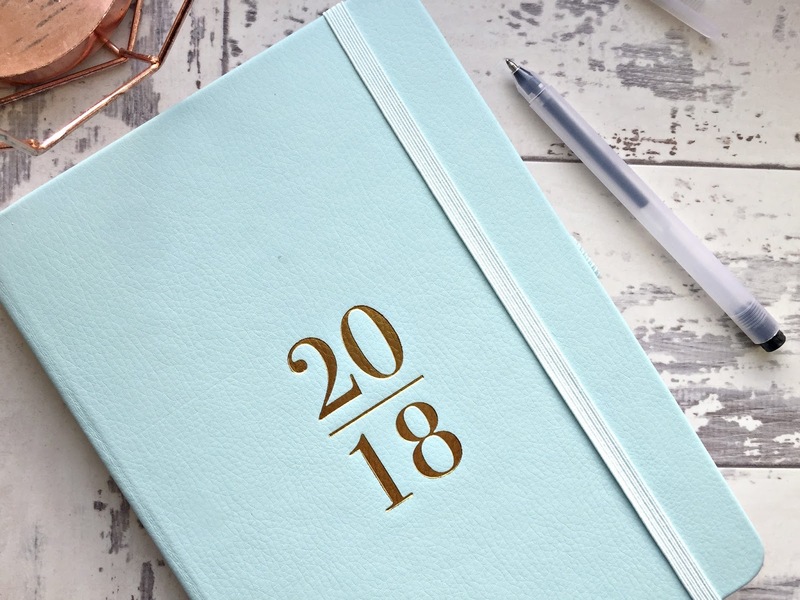 The Busy B Perfect Planner for 2018 also comes with tear out Reminders and a detachable Notepad, located at the back of the diary. I know I'll definitely find these useful as even in the digital age, I need to jot down things on paper so I remember to do them and I bet I'm not the only one! At £14.99, I think the Busy B 2018 Perfect Planner is extremely well-priced. It's just as beautiful as some of the more expensive planners out there and comes with everything you need to get organised this year. 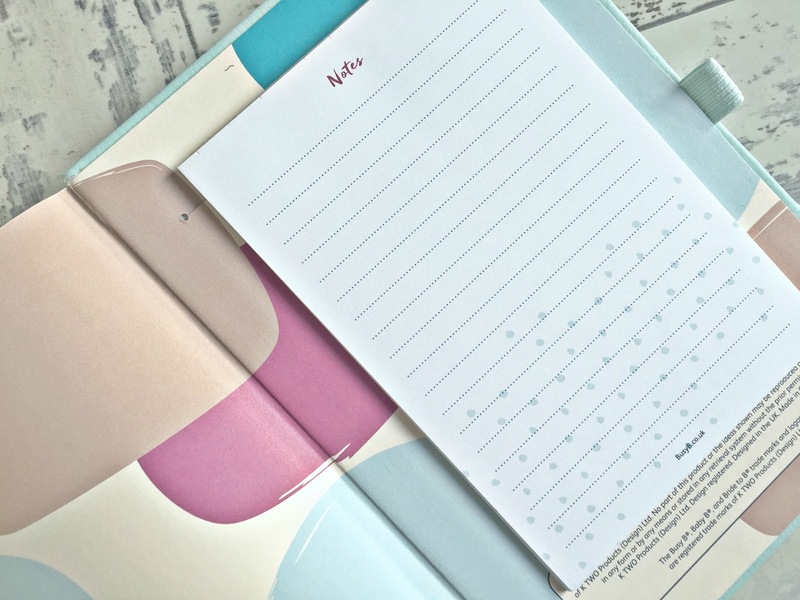 If you're looking for a blog planner, I think this would also be an excellent choice, as there's plenty of room for making notes about posts and writing checklists. I've already started using mine for planning content for Seek My Scribbles. 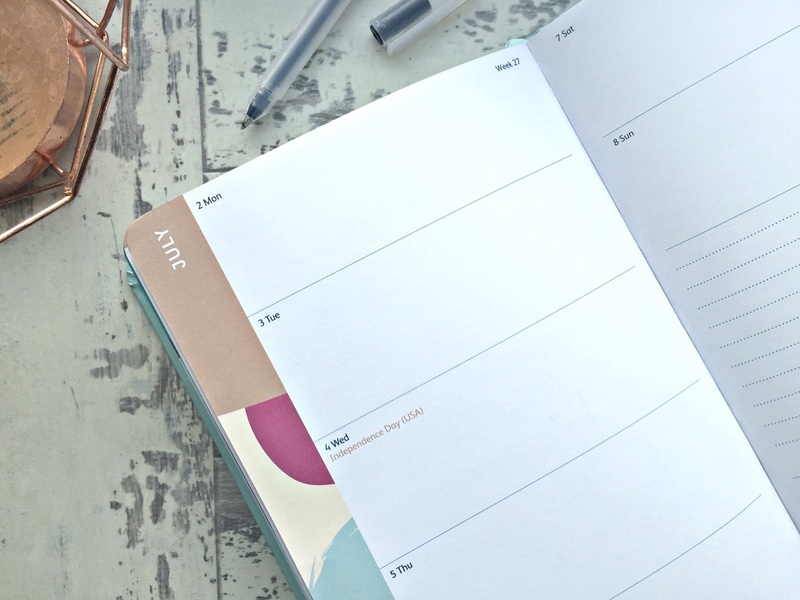 Although the Busy B Perfect Planner is currently out of stock on the Busy B website and Amazon, I have had a look at their Twitter and they've said it'll be back in stock week commencing 8th January so be sure to keep an eye out. I imagine they'll be snapped up pretty quickly! Busy B is a new brand for me but I'm so glad I came across them, as there products are just my cup of tea - attractive, affordable and do just what you need them to. I've added in a few more of their diaries and products to the widget below, if you're interested in taking a look.